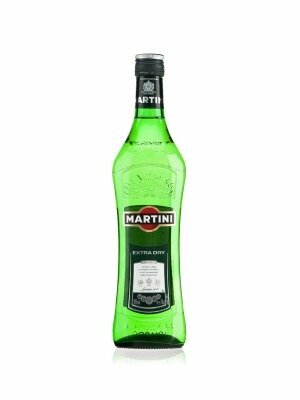 Martini Extra Dry is a popular Vermouth and Aperitifs available from 31dover.com in 75cl to buy online. Visit 31dover.com for the best price for 75cl of Martini Extra Dry or compare prices on our other Vermouth and Aperitifs products. Martini Extra Dry was launched on New Year's Day 1900. Elegant, delicate and very cool, it is the essential ingredient and the perfect mixer. Characterised by its pale colour and fresh and fruity aromas, Martini Extra Dry is delicious over ice with lemonade or apple juice. Martini is a true Italian icon. Established in 1863, Martini has a strong family heritage and has become the most acclaimed and cosmopolitan Italian drinks brand in the world. You can buy Martini Extra Dry online in most retailers and find it in the Vermouth and Aperitifs aisle in supermarkets but we found the best deals online for Martini Extra Dry in 31dover.com, DrinkSupermarket.com, TheDrinkShop, and others. Compare the current price of Martini Extra Dry in 75cl size in the table of offers below. Simply click on the button to order Martini Extra Dry online now.